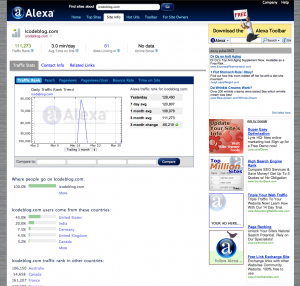 If you have a blog/website then you probably have heard of Alexa. If not, you should search your blog in it to find out some interesting stats. Being a stat junkie, I check services like this frequently. 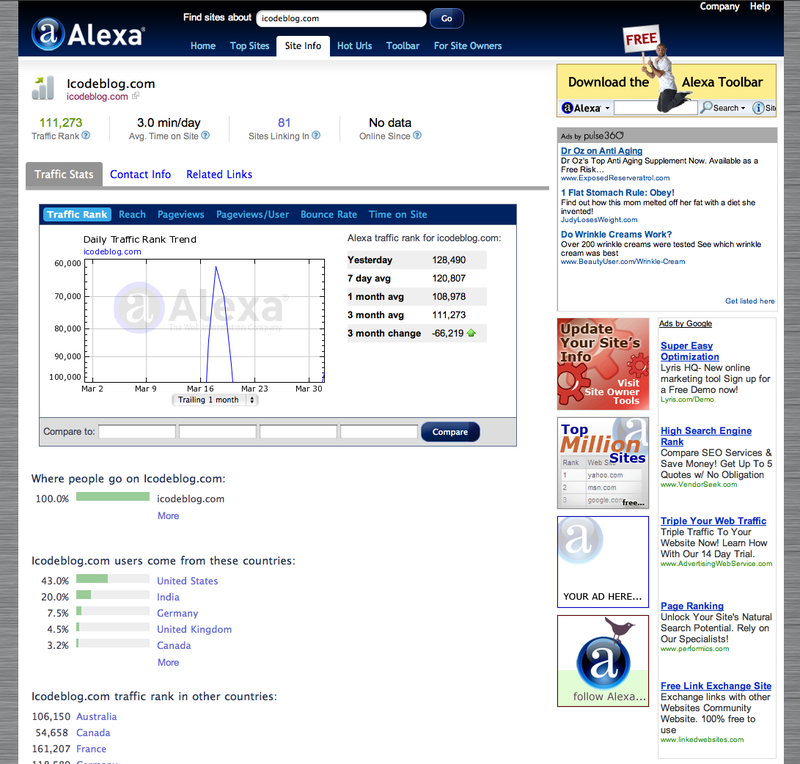 It appears that Alexa has recently updated their interface from their old jenk web .05 hideousness. While it’s not quite web 2.0, I’d say it has a good start as web 1.6 (maybe 1.7 because of the shine on the logo).